Matar paneer is the ultimate comfort food. It is one of those Indian curries that can be devoured during any time of the year. I​t complements all kinds of Indian bread – flat, deep-fried, baked, and almost all variety of steamed rice dishes. This matar paneer recipe is definitely worth bookmarking as it is super quick to prepare and because of the pressure cooker, it does not require hours near the stove. 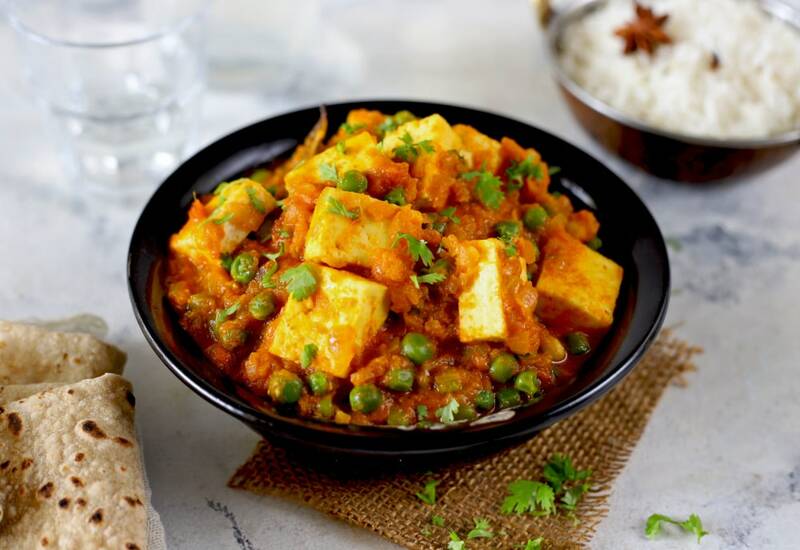 Substitute tofu for paneer (Indian cottage cheese) to make vegan. Per Serving: 615 calories; 41g fat; 38.9g carbohydrates; 28g protein; 78mg cholesterol; 1046mg sodium. Made this as the first Indian dish in our Mealthy. Turned out really well. Definitely recommend it!